When a person wants to find a specific webpage or website, the keywords they use will show navigational intent. Here's an example: A friend wanted you to go to an event by LittleAngels; but in order to go, you'd have to register to their website first. Your friend sent you the link to the registration page but you lost it. You then search for "LittleAngels registration" and sure enough, the first result is the link to their registration page. In this case, the user is looking for a single result. There is virtually no chance that the user would click on any result other than the registration page. LittleAngels doesn't need to compete with other companies or brands since the user is searching for a specific page of theirs. From a commercial perspective, it may not always be a good idea to buy ads around keywords with navigational intent because of the reasons stated above. Also, many searches with this intent may not produce sales immediately. Download this 11-step checklist for your next website redesign. Click here. When someone wants to find an answer to something, they will show informational intent. An example would be: Jenny wants to learn how to cook garlic rice but every time she tries, it always ends up pungent. She looks it up online by searching, "how to cook garlic rice" and she opens several of the search results to try and absorb as much information as she can. She happily accomplishes this and goes onto apply her newfound knowledge on her next cooking. The majority of searches online fall in this cateogry of intent. So, while they may not directly lead to a sale, keywords with informational intent will let you attract plenty of visitors; This enables you to engage with them, letting you find potential customers. This is why most companies online tend to have a blog or YouTube channel. Investigational intent is when someone is looking for information before deciding what product to buy or which service to avail of. It is informational in a sense, but it also helps in making sales. Example: George wants to find a gift for his girlfriend. Knowing that she loves bags and her favorite color is red, George jumps online and searches. He looks for different brands of bags and checks their prices, quality, reviews among other things in order to help him decide which brand to go for. It is a good idea to invest in keywords with investigational intent as they are used by people who are looking to, or heading towards a potential transaction. Transcational intent is shown by people who are ready to make a purchasing decision. They probably have their credit cards in hand already! In the last example, George searched with investigational intent to find a good brand of bag in terms of quality and price. He ends up with the brand "Pamela." He does a search for "Pamela red handbags best price" and is able to find the perfect bag for his girlfriend. In this case, the search included words like "best," "price," and "Pamela." This showed the transactional intent of the user; therefore, he was shown shopping results from different shops online selling the same brand and item. If your main goal is to sell a product or service, this is the intent to focus on. "Semantic keywords" are words that provide search engines with context. They allow search engines to provide better results to users, which means more qualified traffic to your site! This is one of those things that are easier to understand with an example: let's say you want to search for information about the comic "Peanuts." In your haste, you only type in "peanuts." This will bring you a mixed bag of results containing information about actual peanuts, peanut products like peanut butter and the Peanuts comic. In this case, it would have been better to search for "Peanuts cartoon" or "Peanuts comics." Doing this will bring you more results about what you were actually looking for. When you're typing on Google's search bar, you'll be offered with suggestions. Notice that these suggestions will change with each letter you add onto your keywords. This is an example of Google adapting based on the semantics of what you type in. Keep this in mind when choosing the right keywords to rank for and you'll be one step closer to the top of the search results page! You will need to regularly monitor your keyword rankings to see how well your SEO strategy is doing. This is done by using keyword rank checking tools like Google Keyword Planner. While Google's Keyword Planner can be free to use (if you have a free AdWords account), there are many other alternatives out there that are also free or provide free trials. Detect search trends and find out what your target audience wants. 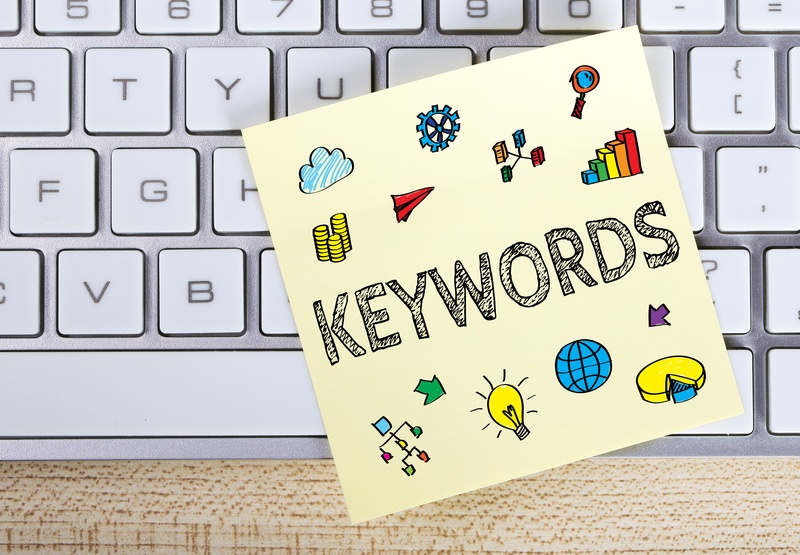 Discover keywords that are starting to gain popularity and incorporate them into your strategy early on to reap the benefits. Monitor which keywords are consistently showing results, these can be a good source for secondary keywords as well. Check which of your strategies are performing well or need improving. Very broad keywords will no doubt rake in a lot of searches online. However, don't think of it as easy pickings. Targeting very broad, high-competition keywords will mean that you will be competing against thousands of others for that keywords' rankings. On the other side of the coin, opting for super specific keywords may not be the best strategy as well. Going that route will mean that while you may have less competition for keyword rankings, you could also have too little of an audience to compete over to begin with! The key is to choose keywords with just the right level of specificity. An example of which would be: "Norco restaurant with the best burgers and fries" or "intellectual property lawyers in california." Examples of keywords to avoid would be: "Norco restaurant" or "California lawyers." Of course, you still have to take into account other things like the keyword ranking mentioned above; but this will get you to a good start. After applying these tips, be sure to regularly monitor and analyze the results of your SEO efforts. Make sure to incorporate any ongoing trends into your strategy and don't be afraid to try other things if you feel that something isn't working right! Make sure to stay up-to-date with current trends so you don't get left out. Hopefully, you've learned a thing or two from this article! These tips will no doubt help you get started, but there are many more tips and tricks to it. Feel free to contact us if you have any questions.